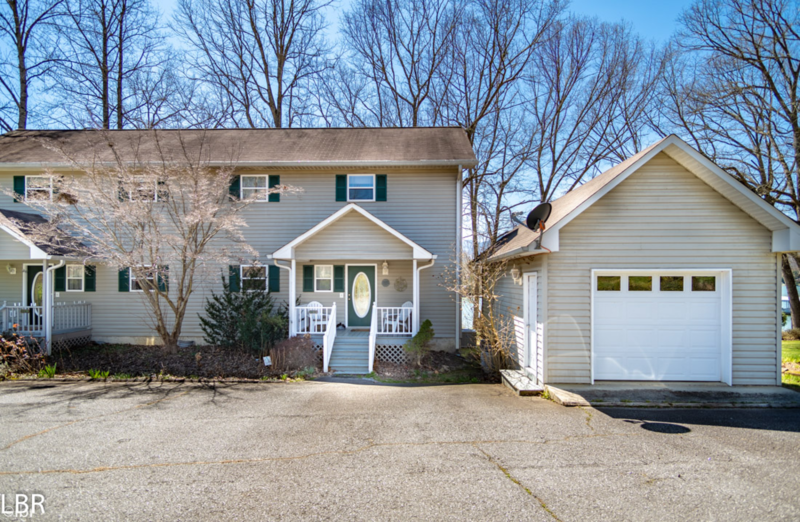 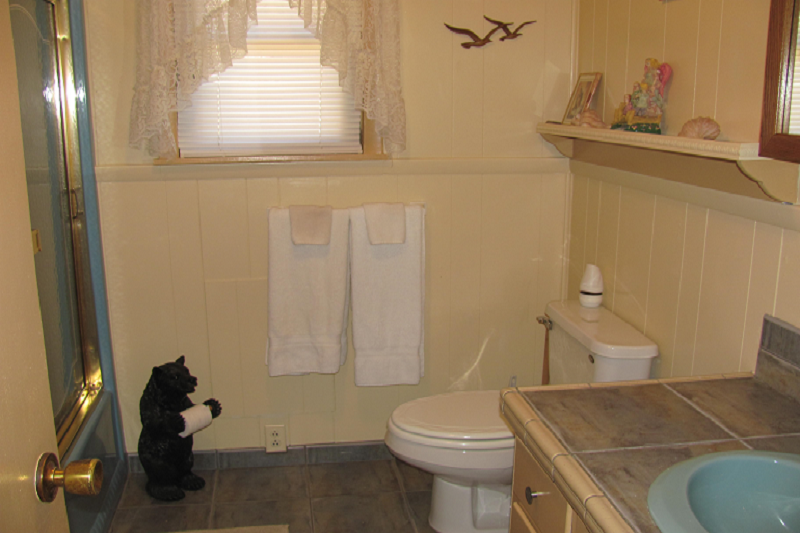 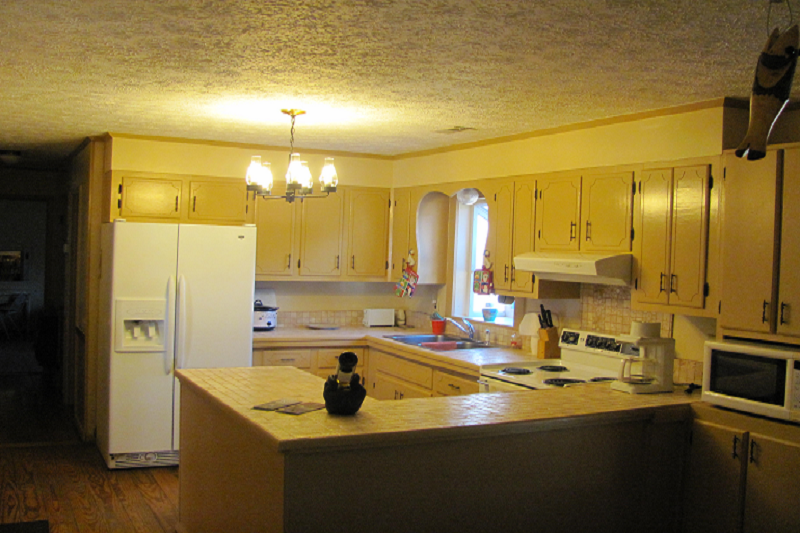 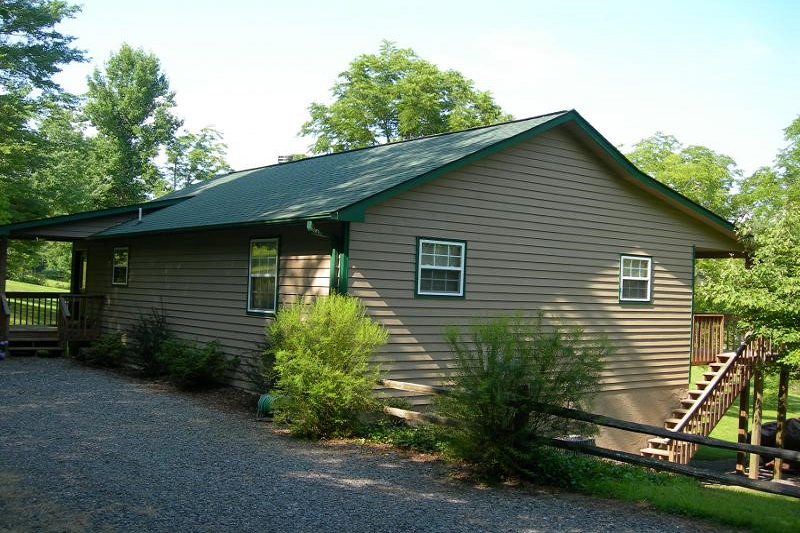 A cute 3 bedroom/ 1.5 baths in a great setting. 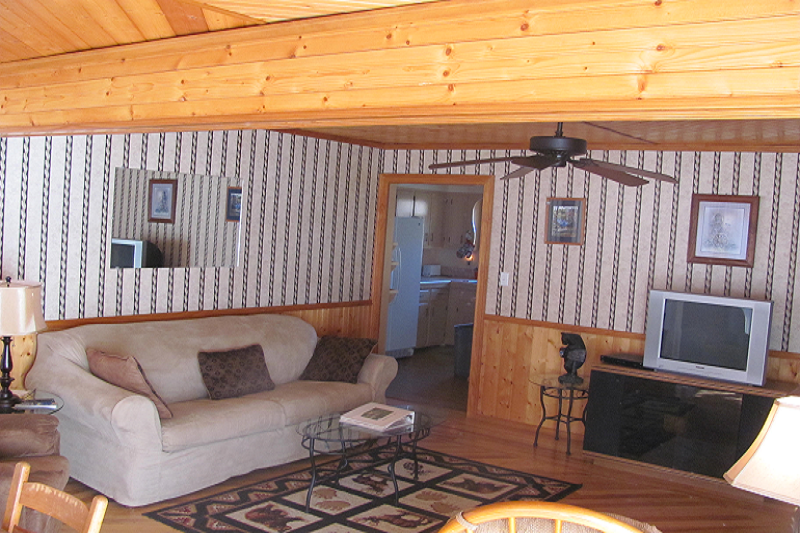 RATES: OFF SEASON: Nov 16 - May 14: $110/night, $660/wk for up to 4 Persons, Extra Persons: $10/per person/per night. 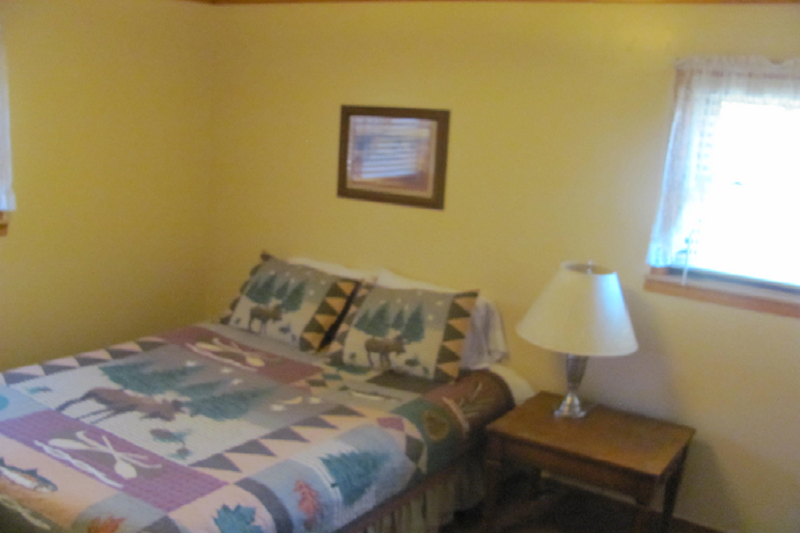 SEASONAL: May 15 - Nov 15: $125/night, $750/wk for up to 4 Persons, Extra Persons: $10/per person/per night. 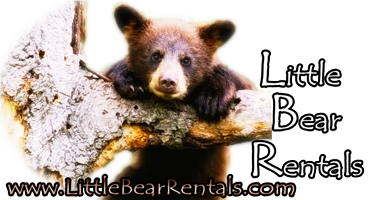 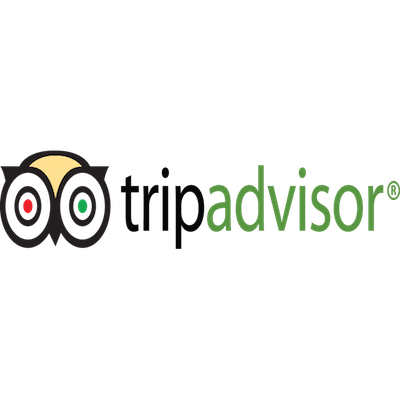 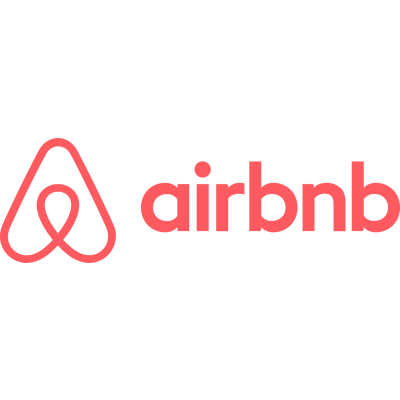 Taxes: 12% (Only 7% on stays of 10 nights or more), Departure Cleaning: $110, Damage Waiver: $55 N/R. 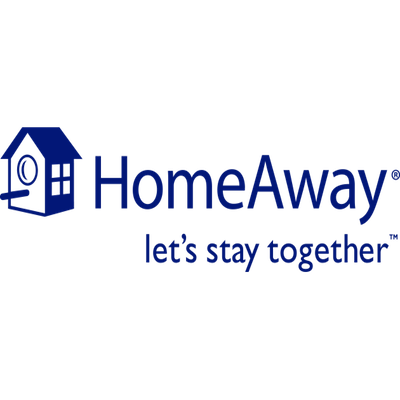 HOLIDAYS: Same as Seasonal; MINIMUM STAY: 2 Nights/ 3 Nights over Holidays. 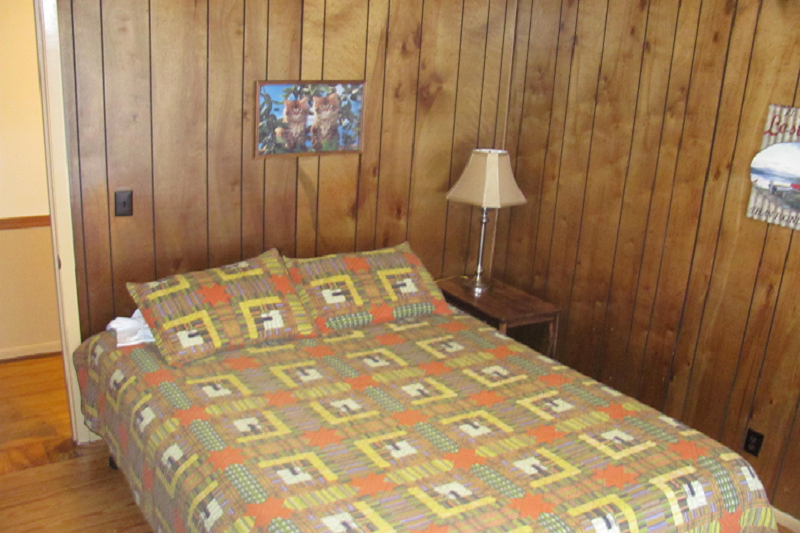 Some pets allowed, Call ahead. 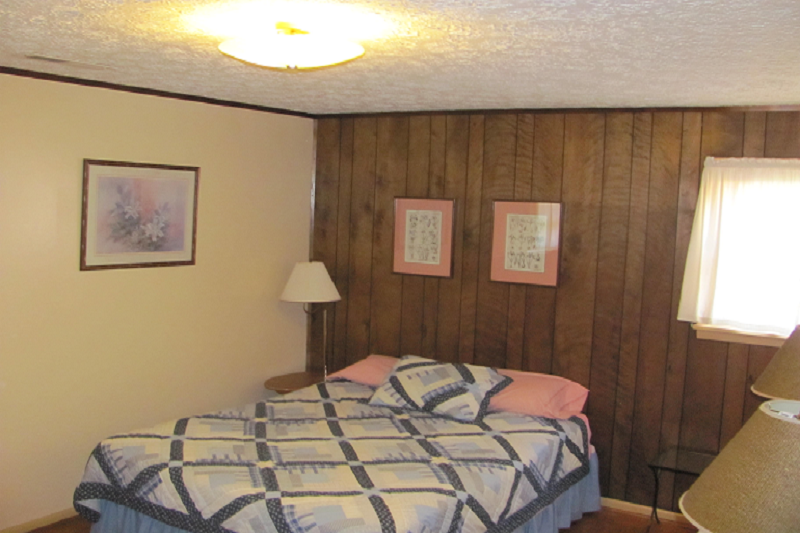 Pet Fee: $15/per pet/ per night. 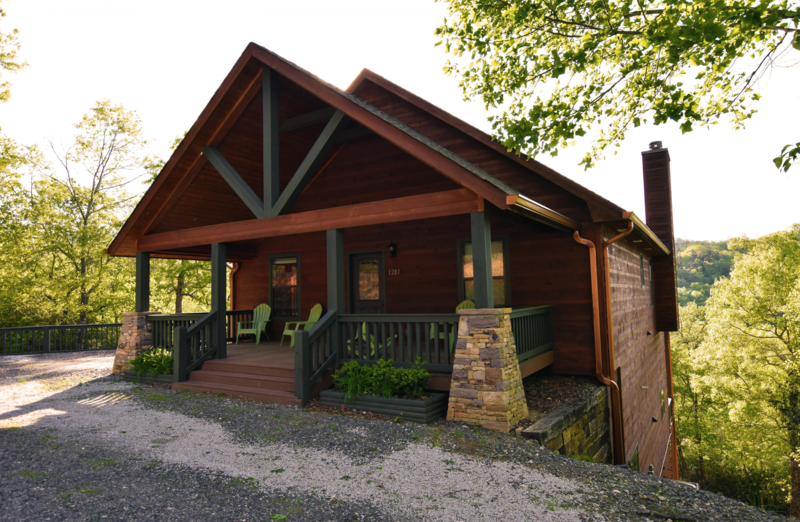 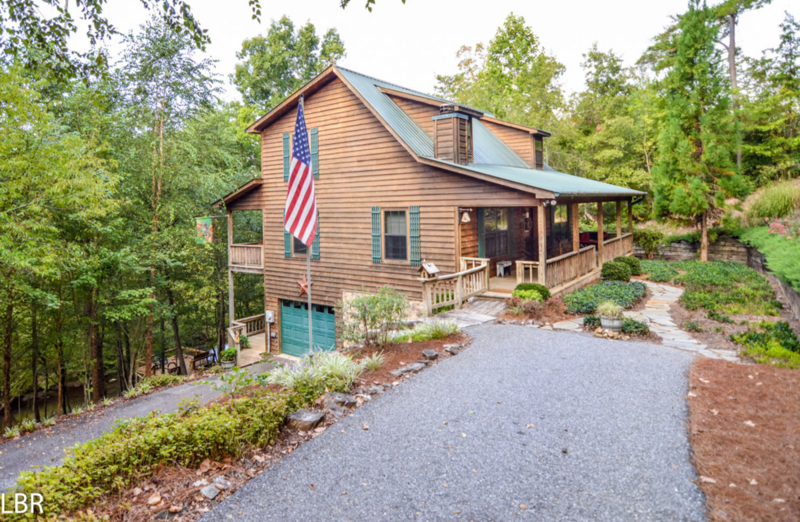 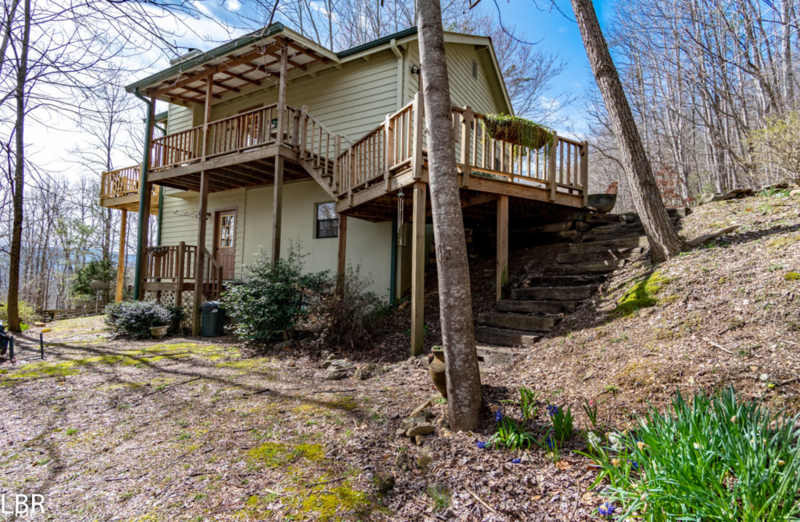 If you are looking for a vacation getaway, with beauty surrounding you, peace and quiet, views of the smoky mountains peaking over the hardwoods, sounds of the rushing creeks, a place to enjoy the outdoors with the family or friends, entertainment for the kids right on the premises, such as fishing from the stocked pond, games inside or outdoors, picnic areas,horseback riding just minutes from the property, bird watching, tossing a coin into the wishing well, candlelight dinner, a cozy night in front of the wood burning stove with a great movie or all of the above, what are you waiting for? 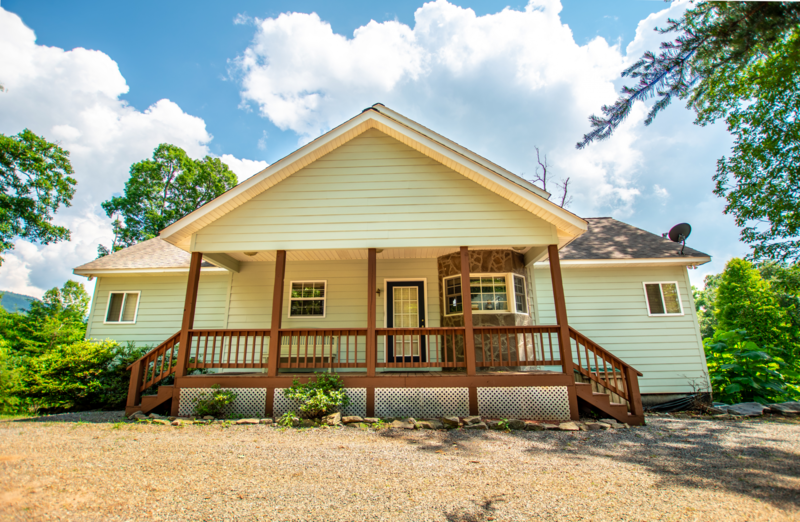 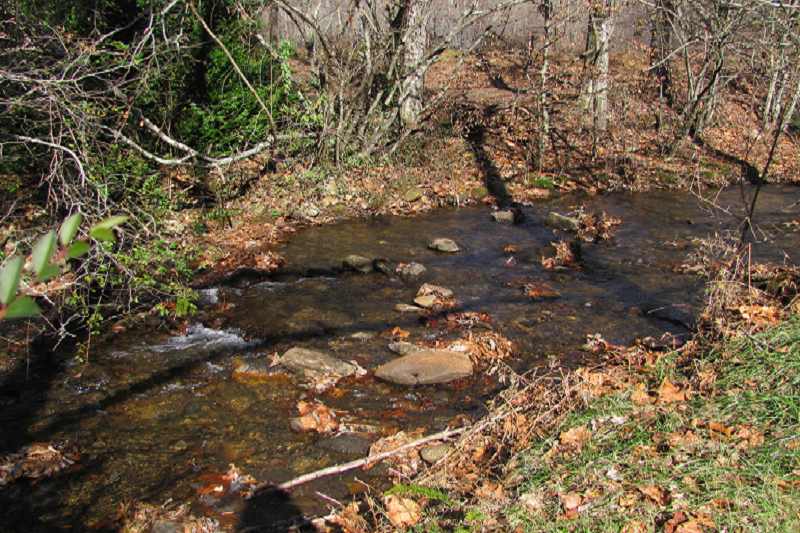 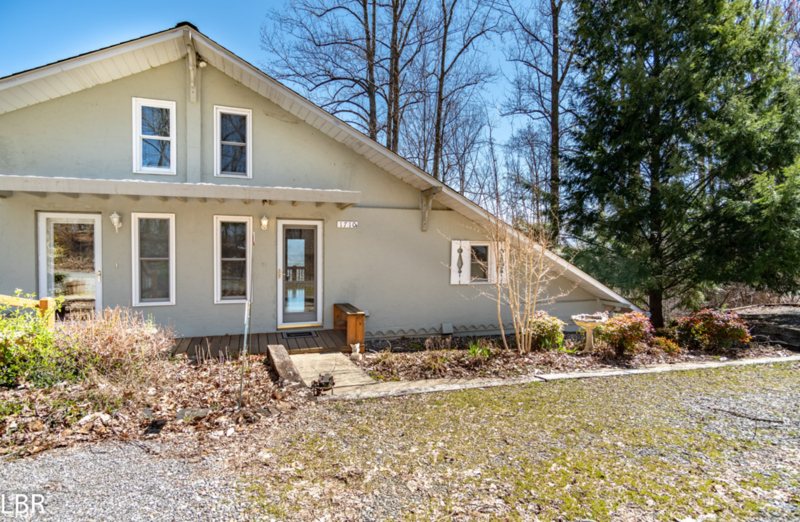 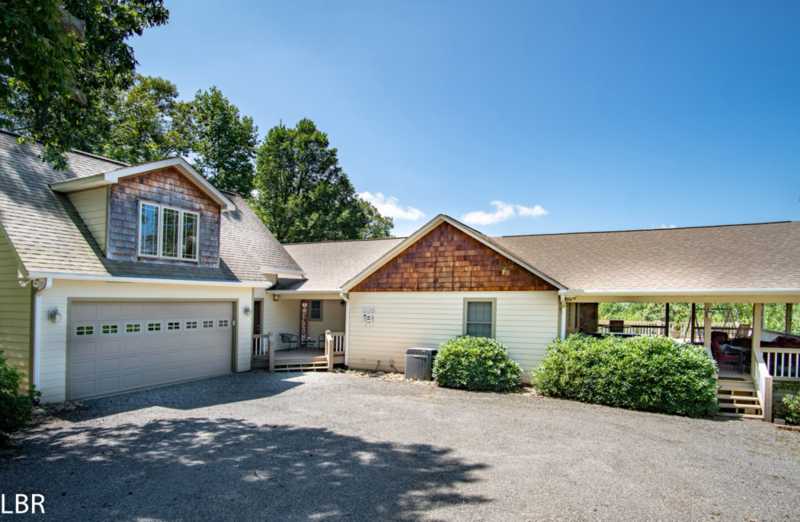 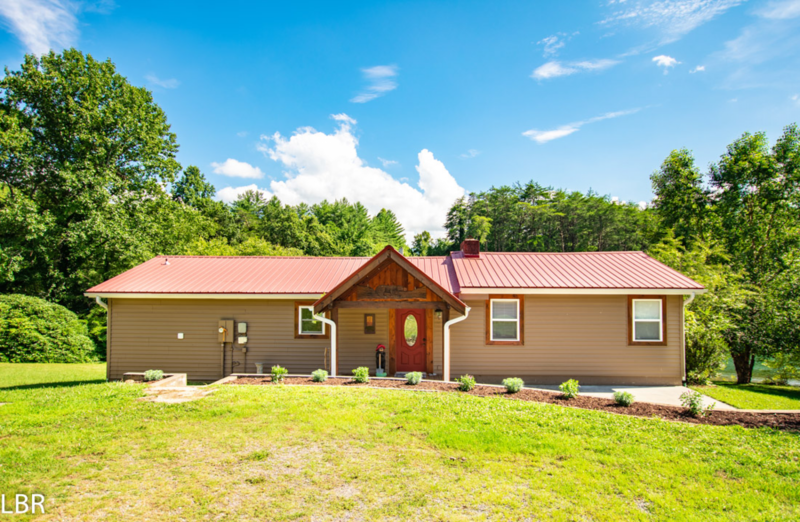 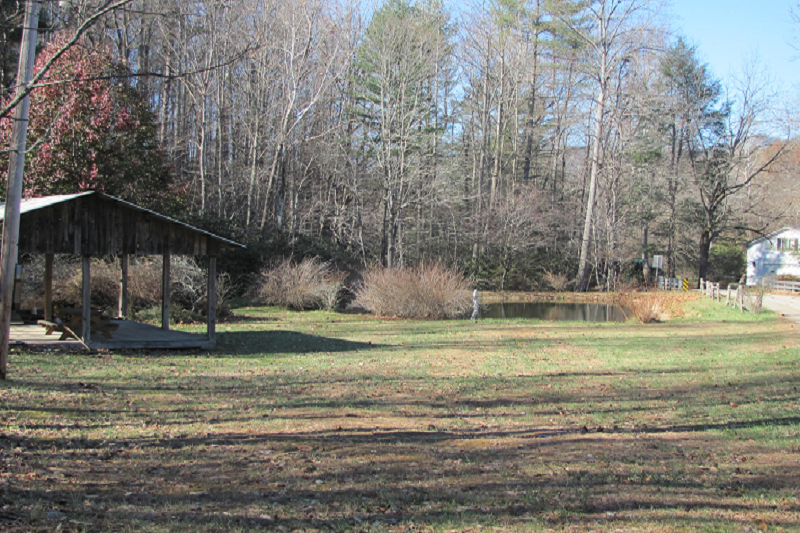 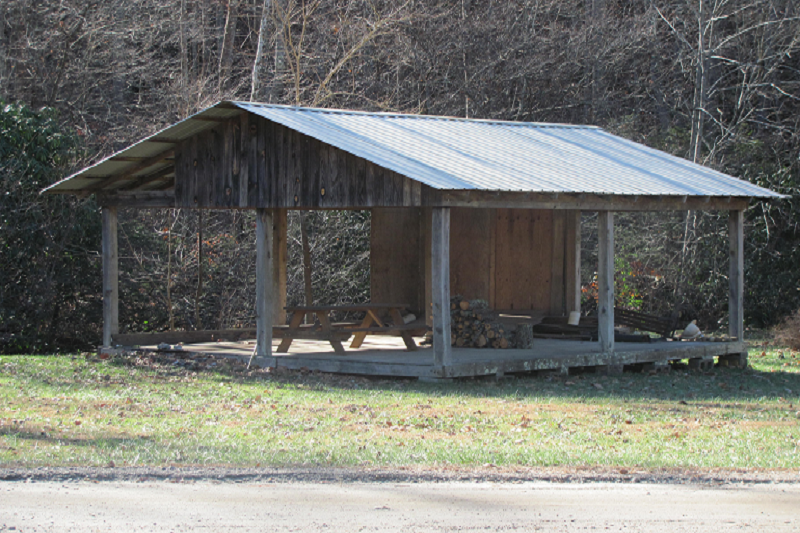 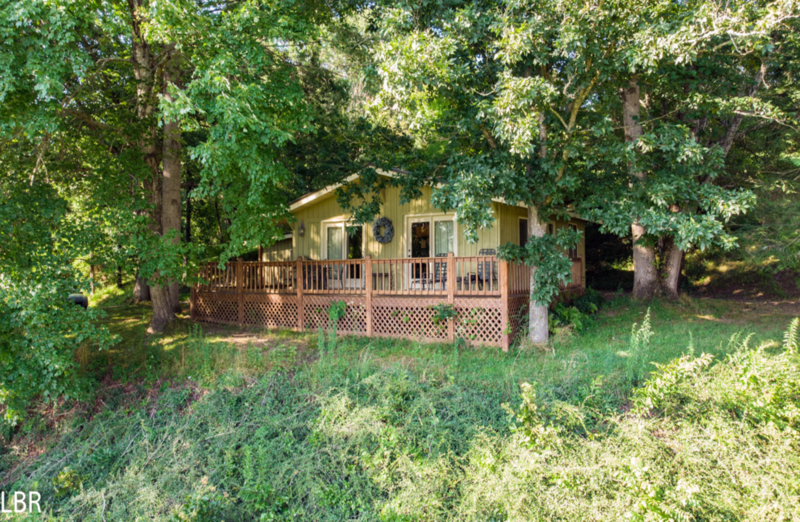 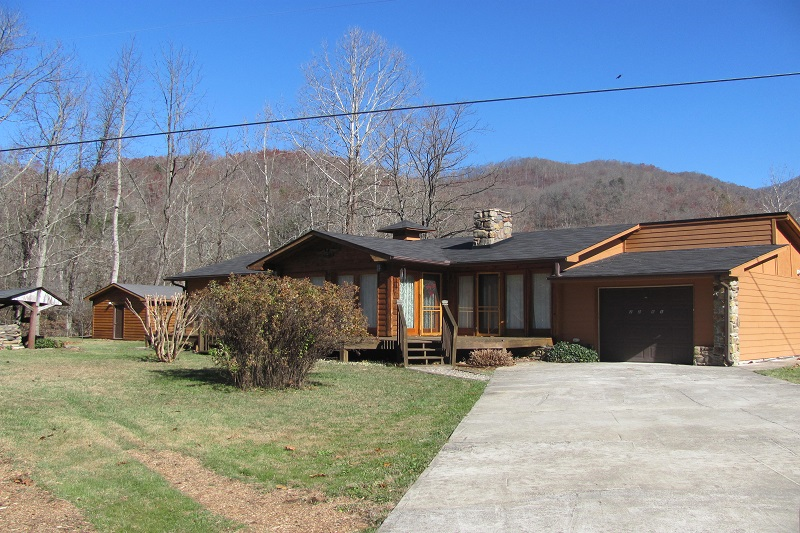 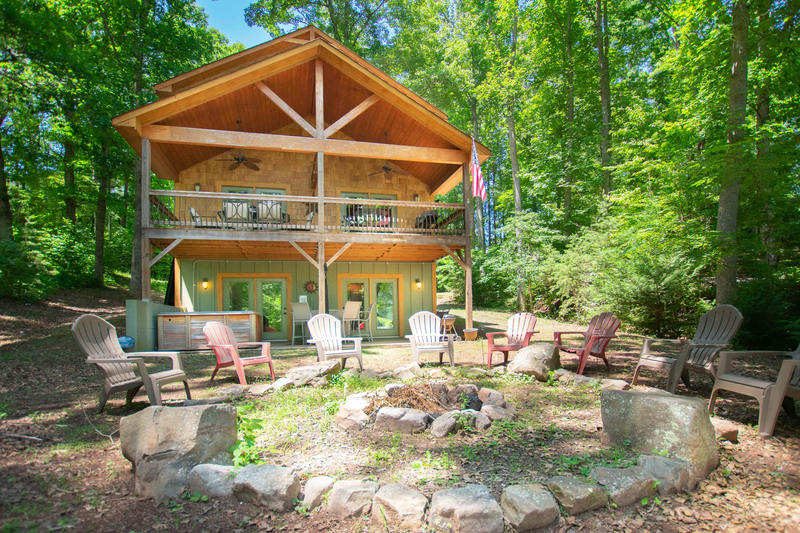 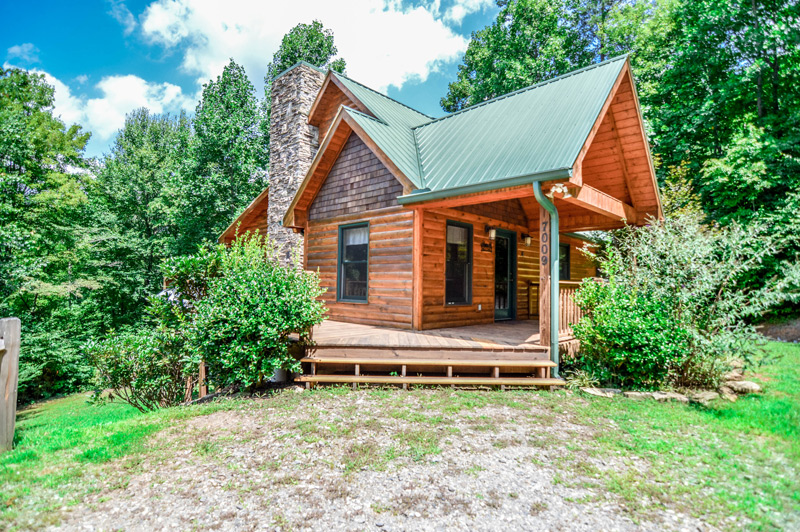 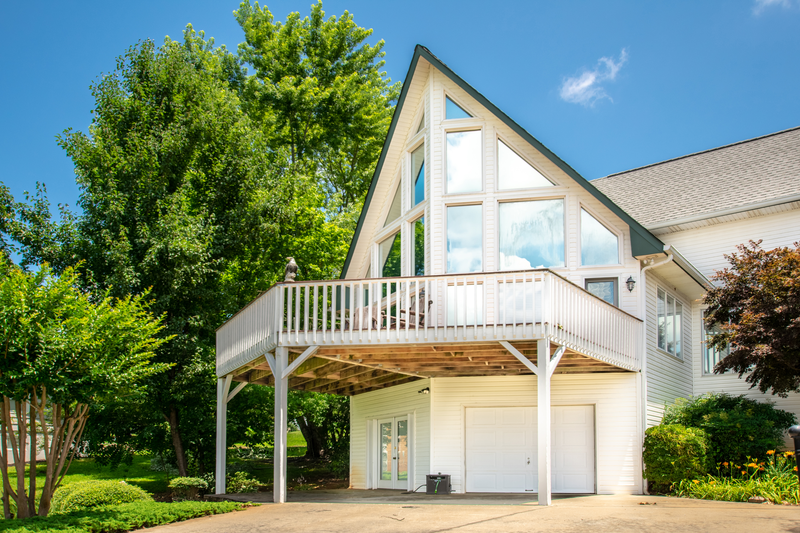 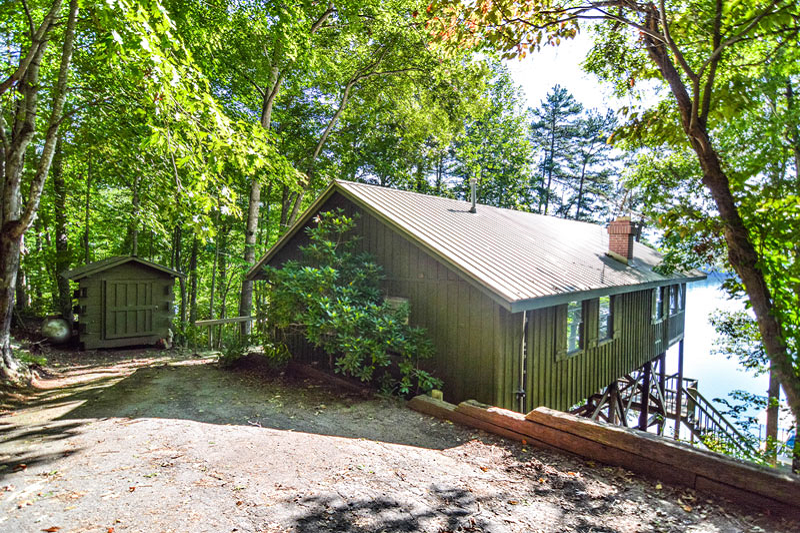 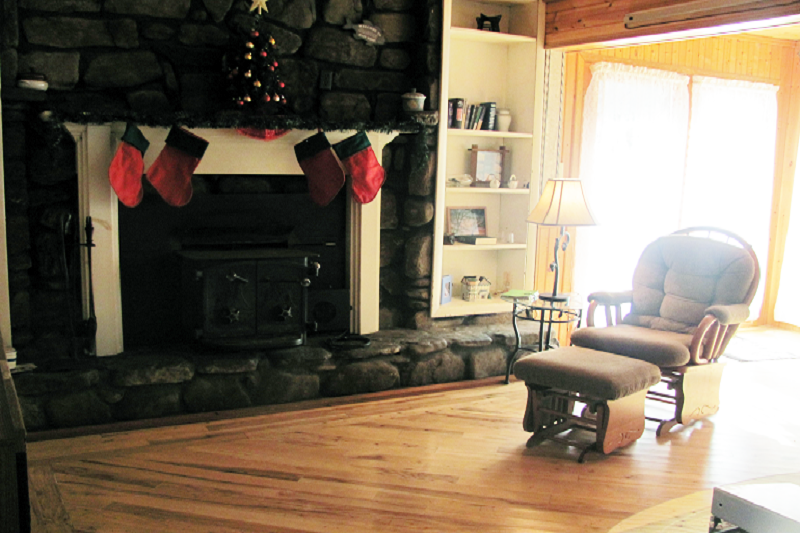 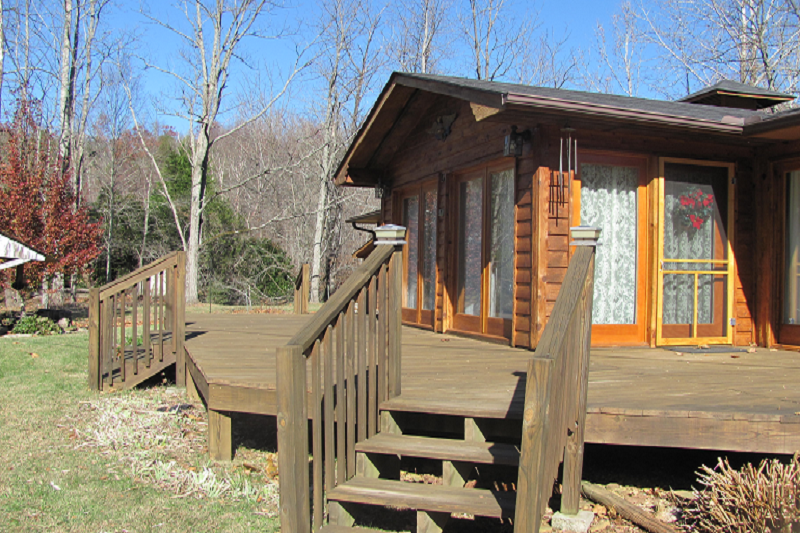 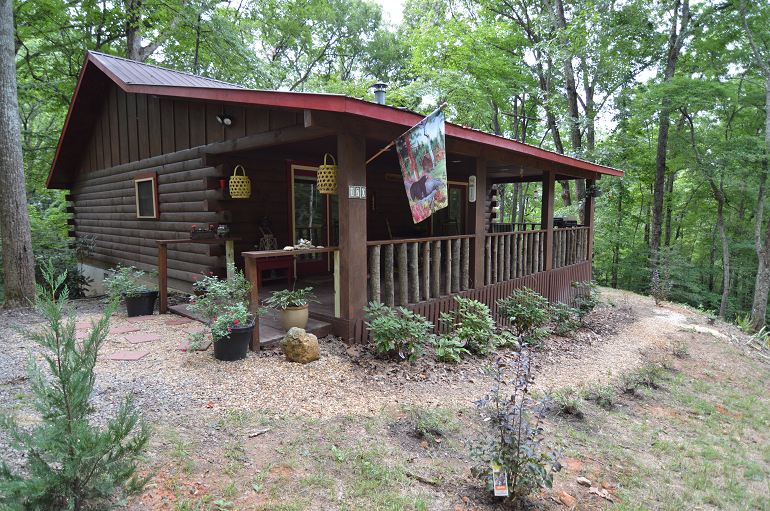 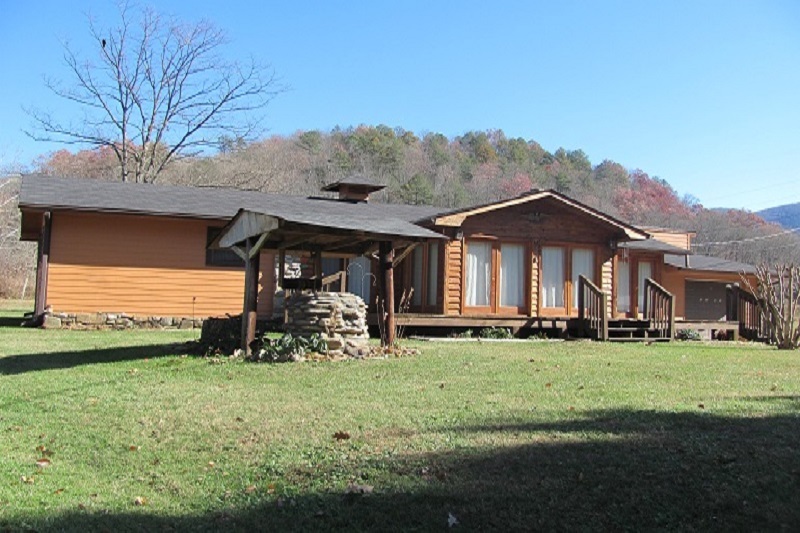 Our cabin is located in the Hayesville area and sits on a nice level parcel of land with flowing creeks year round that border the property on 2 sides. 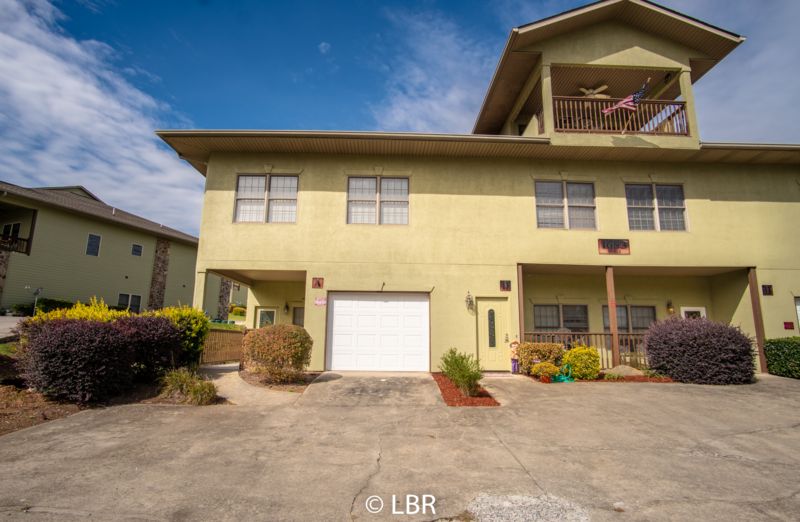 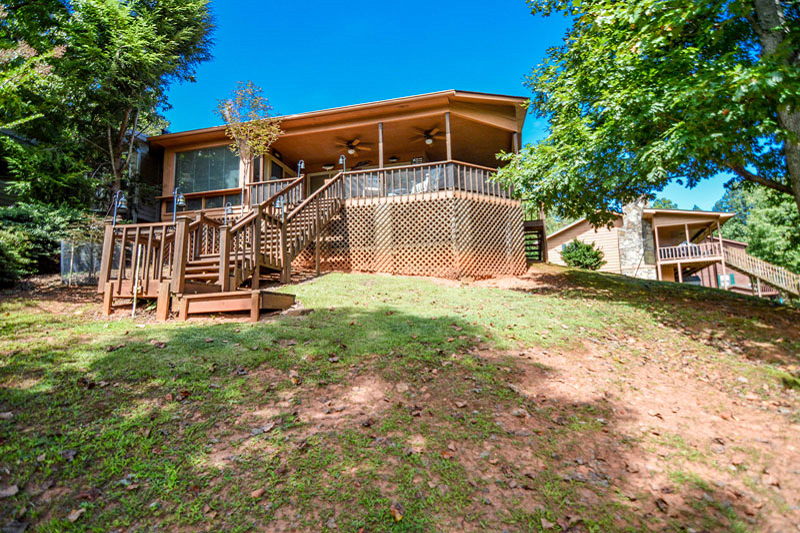 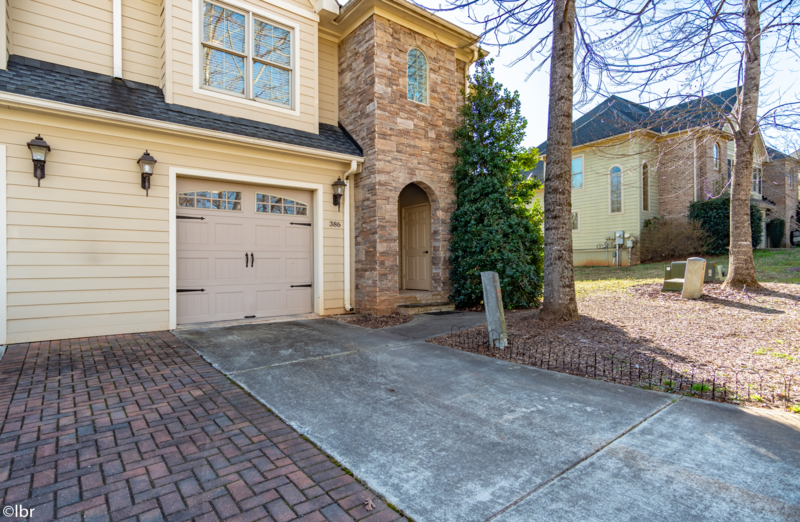 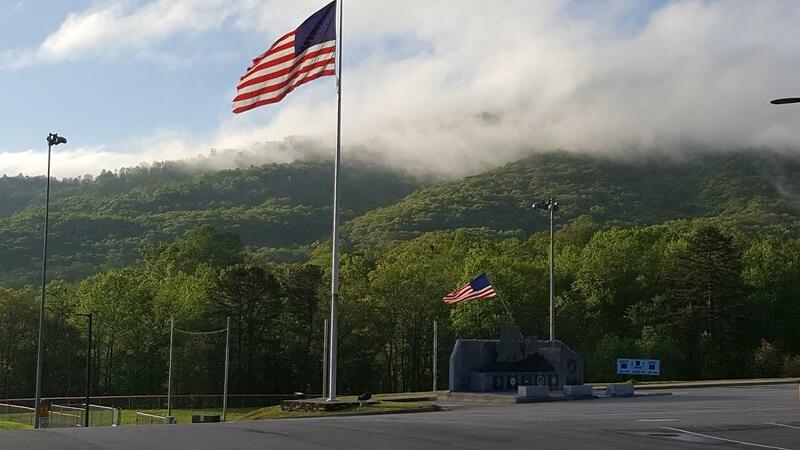 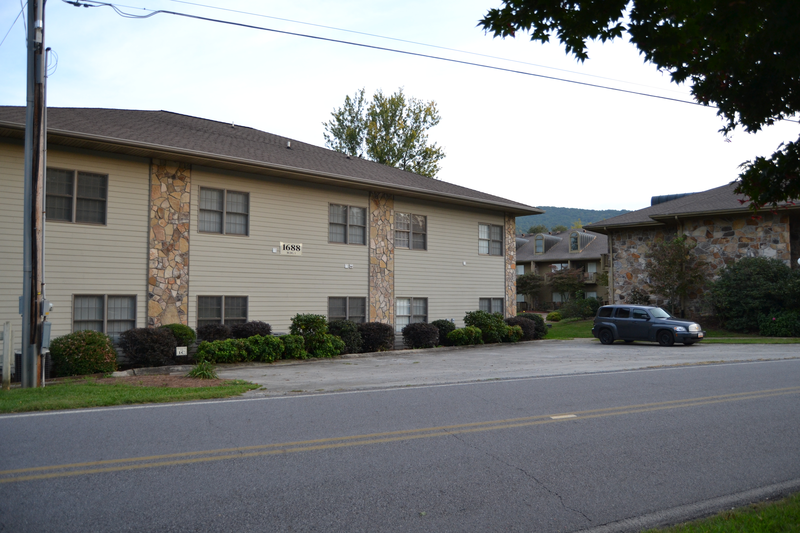 There is lots of parking, a large outdoor covered porch in back for grilling, while you enjoy the mountain views. 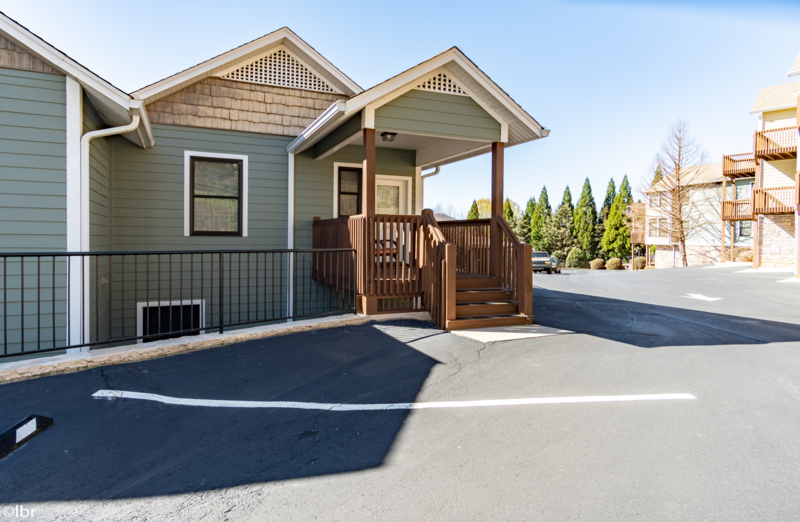 Inside you will be pleasantly surprised at the sleeping amenities with 3 separate bedrooms all queen size beds, all on 1 level for easy access, a queen sleeper sofa in the sunroom/living room. 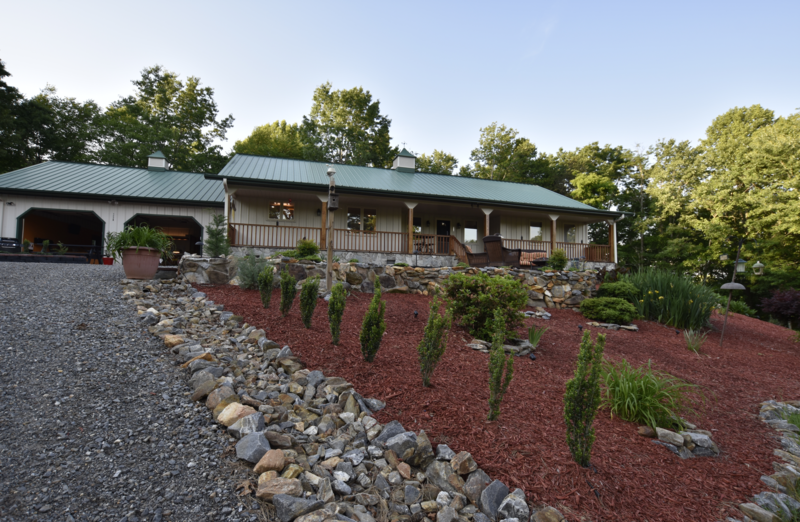 You can view the nice landscaping through the glass doors from almost every room in the home. 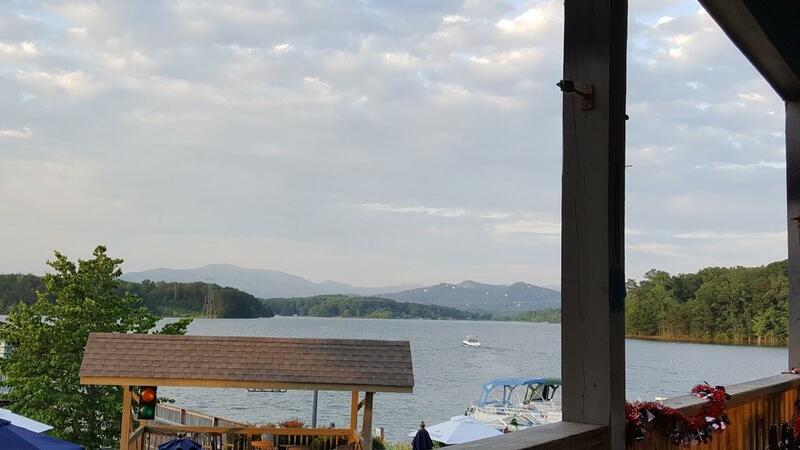 There are glass doors with curtains if you care to open them up for a view. 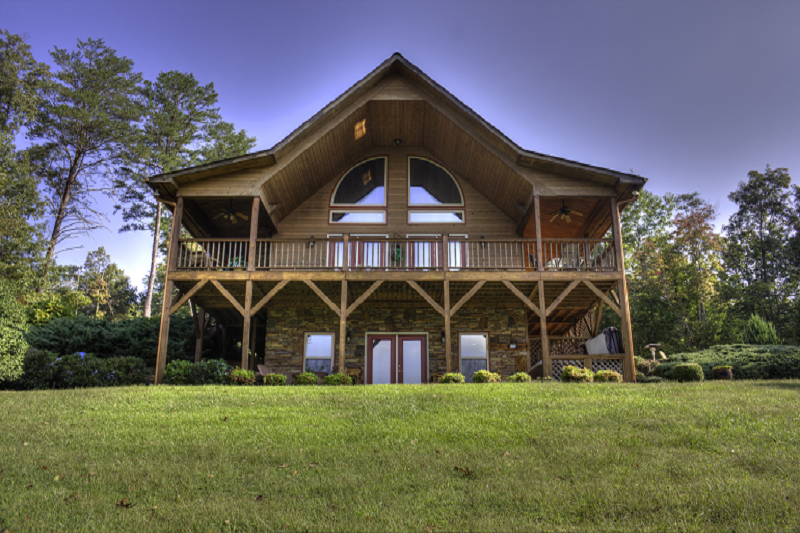 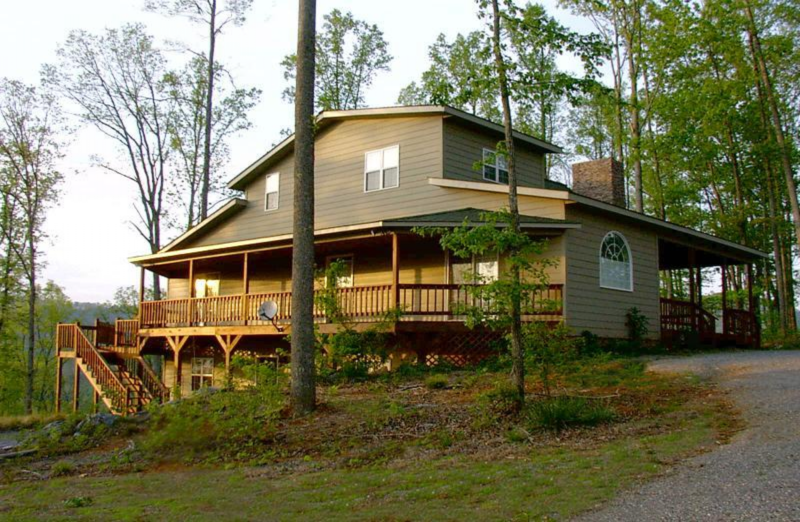 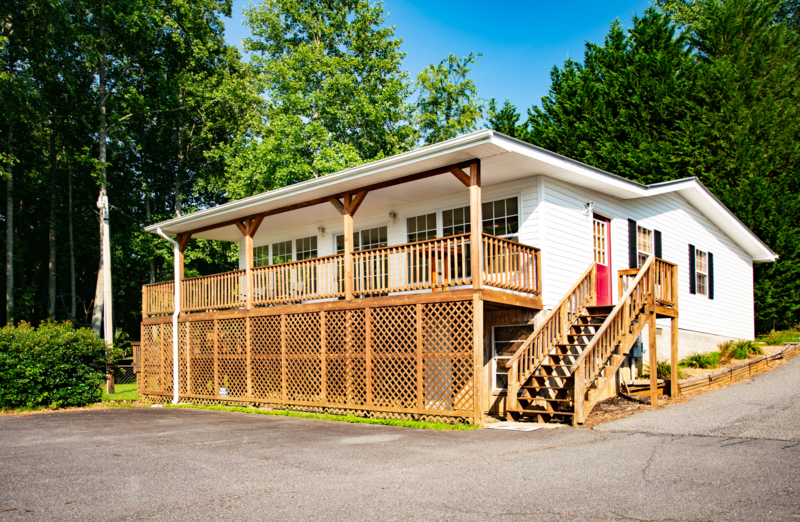 If you need more accomodations,owner has an RV Pad on Brasstown Creek for rent also! 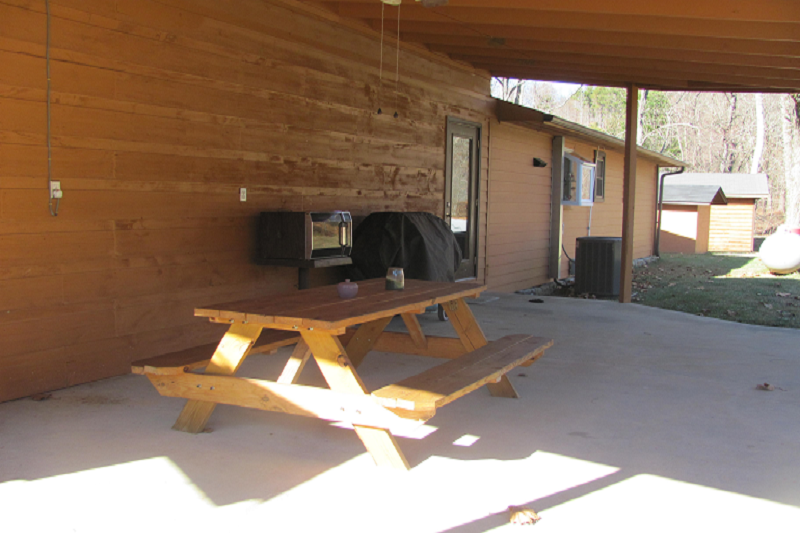 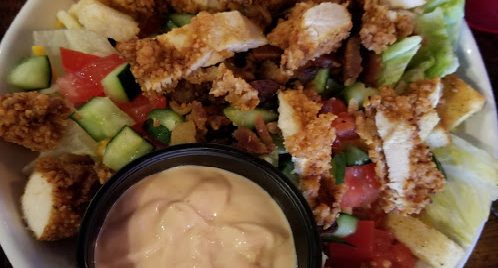 Whatever you enjoy doing on vacation, you won't be disappointed coming to Shine's Water's Edge Trail. 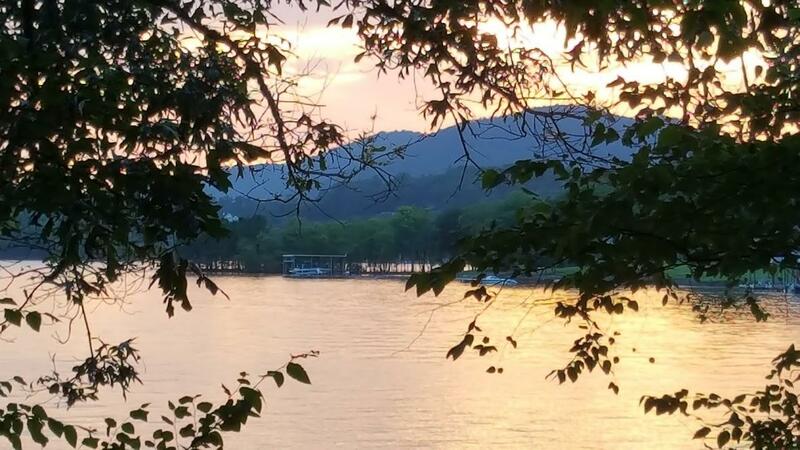 Book Shines Waters Edge Now!